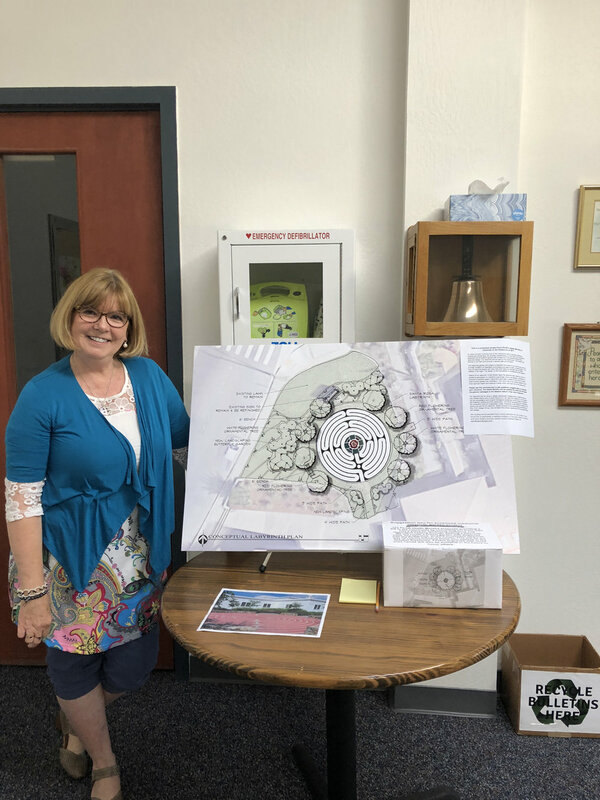 These plans will replace an existing problematic lawn with roses, flowering trees, benches, and the labyrinth as a center point of focus. Church of the Roses had a number of members who lost their homes to the 2017 firestorm that ravaged the City of Santa Rosa, our Sonoma County, and neighboring counties. This garden and labyrinth is being dedicated to all those affected by the fires. This new space will be used for weddings, events, concerts, the church pre-school and picnic and as a place for children walking home from school and the neighbors to take some time out of time and connect with themselves, each other and the world around them. 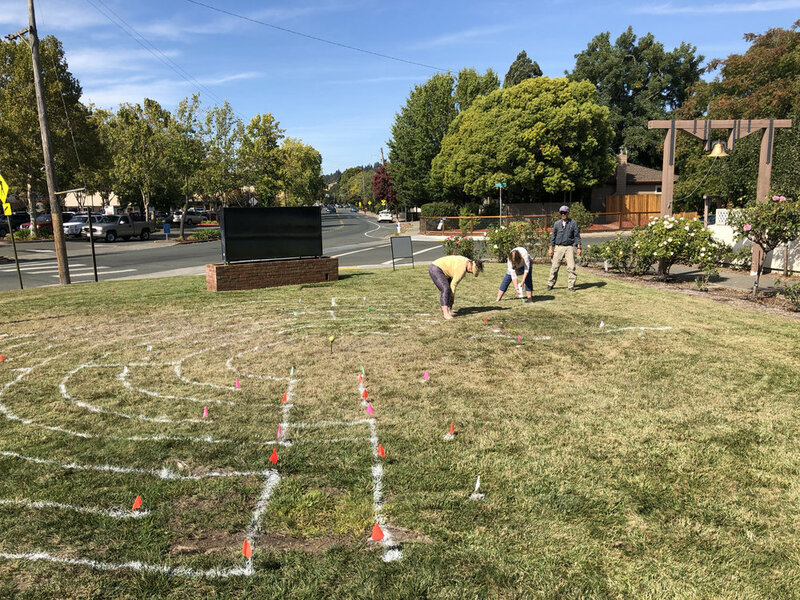 Wolff Contracting is donating the excavation and preparation of the lawn area even as they are actively working on rebuilding homes in our area that were lost to the fires. Church of the Roses recently hosted a Benefit Choral Workshop and Concert for Habitat for Humanity. 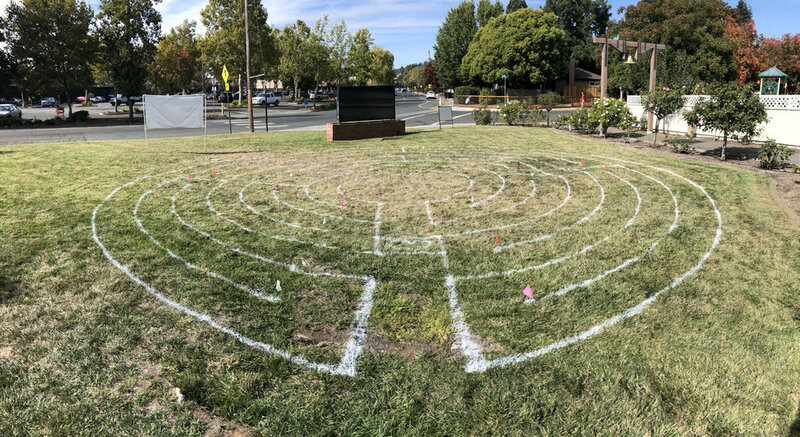 As an introduction to the labyrinth, Creative Labyrinths, with help from Church of the Roses, painted the design on the front lawn where the final permanent labyrinth is being proposed.